Aperture’s new exhibition The Chinese Photobook reveals for the first time the richness and diversity of the photobook’s heritage in China, drawing on publications from over a century of Chinese history. From imperial China to the Cultural Revolution to the present day, Chinese photobooks have reflected the dramatic changes of China’s twentieth century. Based on a collection compiled by Martin Parr and Beijing- and London-based Dutch photographer team WassinkLundgren, to be published this spring from Aperture. 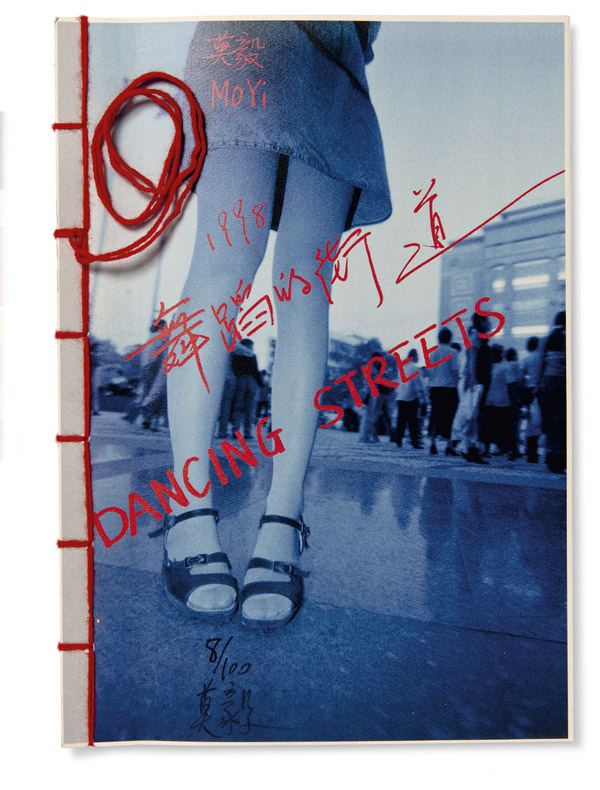 The Chinese Photobook embodies the dramatic changes in China in the twentieth century. Here, we present a look inside the exhibition with some of the key figures involved in the making of the book, who led a private tour at the Member’s Preview before the exhibition opening on February 11. This article first appeared in Issue 2 of the Aperture Photography App: click here to read more and download the app. The Chinese photobook reveals as much about Chinese photography as about China itself, and the country’s dramatic twists and turns during the last one hundred years. Divided into six sections, the exhibition now on view at the Aperture Gallery in New York, through April 2, chronologically traces the development of the form in China since 1900, from imperial souvenirs, to government propaganda, to the contemporary avant-garde. “Each book is a microcapsule of history,” said Aperture publisher Lesley A. Martin. Just before the exhibition’s opening, three of the book’s contributors— Raymond Lum, Stephanie H. Tung, and Ruben Lundgren—spoke about their contributions to the exhibition. Lum, librarian for Western languages in the Harvard-Yenching Library, wrote about the book’s first chapter, which explores how the imperial agendas in China in the early twentieth century gave way to the People’s Republic of China. For example, French forces sent during the Boxer Rebellion of 1901 took some of the earliest aerial photographs of China, adorned with Art Deco and Art Nouveau flourishes in a loosely bound and “clever” book, as Lum described, which could be taken apart and rearranged. Tung, who is working toward a dissertation on the history of photography in China, spoke about the period between 1931 and 1947, which alternately produced photobooks reflecting more artistic practices as well as the effects of the Sino-Japanese war. Tung highlighted the work of Lang Jiangshan, arguably one of the most famous photographers in Chinese history, who pushed limits of representation in the 1930s and 1940s. Of his layered negatives of landscapes and nudes, Tung remarked that the photographer aimed to evoke the texture of classical Chinese landscape paintings: “He’s trying to express a Chinese essence through photography.” The Japanese occupation introduced some of the first propaganda-style photobooks, in praise of Manchuria, made by Japanese publishers; meanwhile, books of response by Chinese publishers depicted a nation torn apart by war. The contemporary selection of photobooks in particular gives a sense of the range of what might be uncovered between these photobooks’ covers, from photojournalism that exocitizes the West to the provocative work of Ren Hang. Through the project, Aperture magazine’s editors discovered Ren’s photobooks, which are distributed in cardboard cases warning readers of their content. Not only did the work end up in the pages of the magazine’s new spring issue, “Queer,” but, in an apt reversal, it’s on the cover.